Picture perfect. 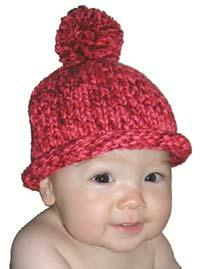 An adorable little pom pom hat knit on big needles. A quick and satisfying project that makes a great gift! Simple rolled brim and fluffy pom pom adds a finishing touch. 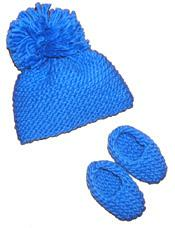 Yarn is a nice, soft merino wool and acrylic blend. Pattern is written without abbreviations to make it easy for the beginner pattern reader! Knit on size 10-1/2 knitting straight needles, and then seamed up the back.